This article was originally published in the Association Montessori Internationale/United States (AMI/USA) Spring 2018 Journal. As our society becomes increasingly more diverse, it is crucial that we invest time and energy into the critical self-reflection that is necessary to unpack our biases, so we have the capacity to live in true solidarity with the members of our communities who are different than we are. How can we respectfully embrace these differences instead of allowing our minds to be clouded up with biases, prejudices, and stereotypes? After all, our thoughts undoubtedly impact our behaviors. Many of the biases we possess about other groups form outside the realm of our conscious awareness. People often have a tendency to feel defensive when the suggestion that they might harbor biases arises, but we are socialized by our society to have certain attitudes and expectations of certain groups (both positive and negative). None of us is immune to these messages (both subtle and overt) to which we are constantly exposed. However, when these issues are brought into our consciousness and we still choose not to address them (because it’s certainly easier not to), it becomes an issue. If we wish to genuinely say that we care about cultivating a more inclusive, peaceful, equitable and just society, we must tackle these issues directly. So, where do we start? As we become progressively wiser with age, we often discover that the most critical work we have to do in this world is within ourselves. This journey is no different. It must begin with us, as the adults. As Dr. Montessori emphasized, there is a spiritual preparation that the adult must undergo in order to serve children in an authentically open and nurturing manner. It is essential that we rid ourselves of our pre-conceived notions about children and reexamine our way of thinking, our own prejudices. This is no small feat, of course, and that’s precisely why it’s called spiritual preparation. This journey of becoming consciously anti-bias, too, will require openness to change, humility, patience, respect, love, and for us to keep our pride and anger in check, however difficult it may be. Take a deep breath and be gentle and patient with yourselves along the way. This is challenging, often uncomfortable, but critical work--if we are to imagine a new world, a world that is more peaceful, equitable, and just. 1. Get to know your own multi-layered identities (this includes various domains such as: race, ethnicity, gender, class, abilities, sexuality, nationality, etc. What are the implications of these identities?) Then, help your children learn (and love) more about themselves as well. 2. Acknowledge your own biases (yes, we all have them) and work to dismantle them, both within yourselves and your respective spheres of influence. 4. Create safe spaces to discuss the often-uncomfortable topics of isms, privilege, and oppression. * Do not shy away from difficult questions from children, as tempting as it may be. It is perfectly fine to admit that you don’t have all the answers. You, too, are learning. * Acknowledge that people of color do not have the privilege of avoiding these topics or the ensuing discomfort. 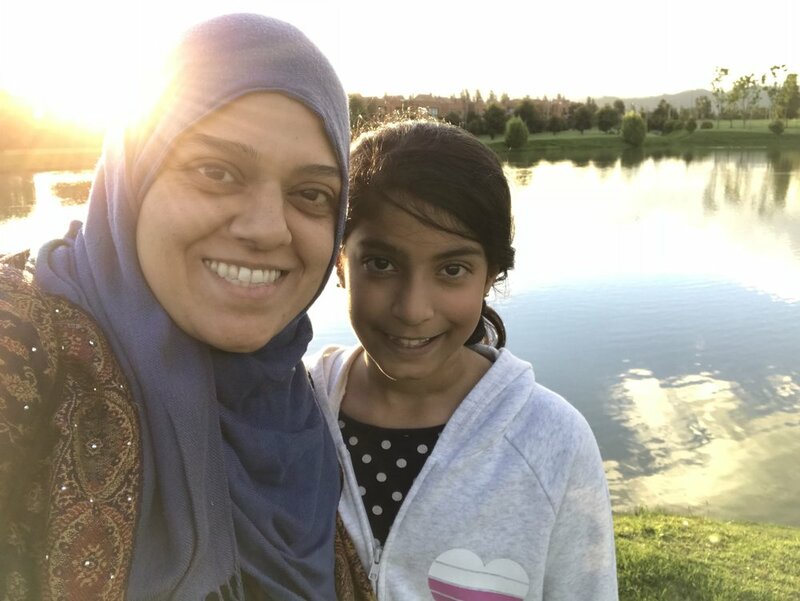 Most parents are deeply resistant to speaking to their children about race (that is, unless you’re a person of color, in which case, this has likely been a necessary topic of discussion). Perhaps you’ve even been taught that it’s impolite to discuss a topic such as race. 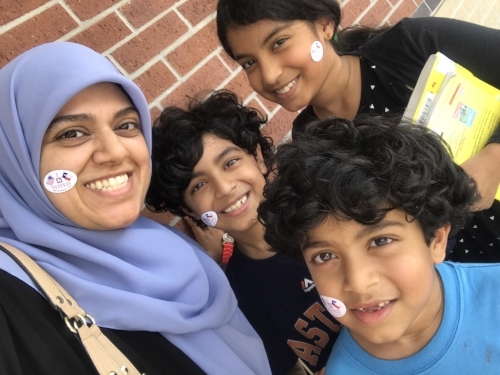 Instead, people often choose to proudly identify as “color-blind.” Many well-meaning parents believe that if they just avoid the topic of race and do not behave in explicitly bigoted ways, then their children will not develop biases and prejudices. This is not so. Despite our best intentions, as previously mentioned, our children receive and internalize messages (both subtle and overt) from the people and environments around them. Furthermore, research by the influential social psychologist Henri Tajfel has shown that human beings do tend to harbor some in-group biases, which essentially means that we tend to give preferential treatment to those who are also members of groups to which we belong. Children Don’t “See Color:” True or False? Despite the fact that adults often think that children don’t “see color,” this belief is not supported by social science. Sociologists Debra Van Ausdale and Joe Feagin conducted research, which suggests that some children as young as three exclude and include other children from play based on race. 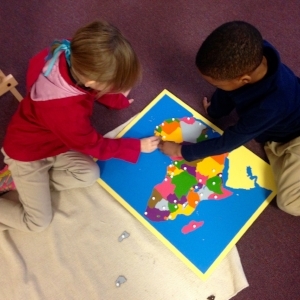 As we know from the Sensorial materials, children are naturally inclined to classify the world around them in an effort to understand it more intimately. Similarly, their brains are also categorizing people based on factors such as race. Other studies reveal that children actually begin showing significant preference for faces from their own ethnic groups as early as three months old. Dr. Rebecca Bigler and Dr. Lynn Liben acknowledged: “a great deal of research suggests that, by the age of 5, most Euro-American children attribute negative characteristics to African Americans and positive characteristics to Euro-Americans.” Children do, in fact, see color. Thus, it is our duty to help them be color-conscious and learn to approach differences in a respectful and celebratory manner. Furthermore, Dr. Bigler and Dr. Liben’s research revealed that, in addition to race, some children as young as three also display biases based on gender and even facial attractiveness. Clearly, this is an incredibly complex issue, with so many layers and nuances. The research tells us that it is important to begin addressing these issues during a child’s formative years, so we can try as relentlessly as possible to prevent these very biases from being an indelible part of the lens through which they view other people. Books are a wonderful resource for facilitating conversations with your children about race and biases. As always, be intentional when selecting books. Choose books with racially diverse characters, not only heroes of color, but also folks of color living their ordinary, everyday lives. In addition to racial/ethnic/linguistic diversity, choose books that represent people with varying abilities, from different family structures, economic classes, etc. Visit www.embracerace.org for excellent book lists for children (from toddlers to upper elementary) and other wonderful resources. We repeatedly examine how much we are alike, but it’s also important to embrace how we are different. “What if children ask about something like race?” Well, talk to them! Give them factual information. For example, “melanin is a pigment and people who have more of it in their skin are darker.” Give them accurate, respectful language that they can use to discuss differences, not only in skin tone, but also ability, economic class, hair texture, etc. 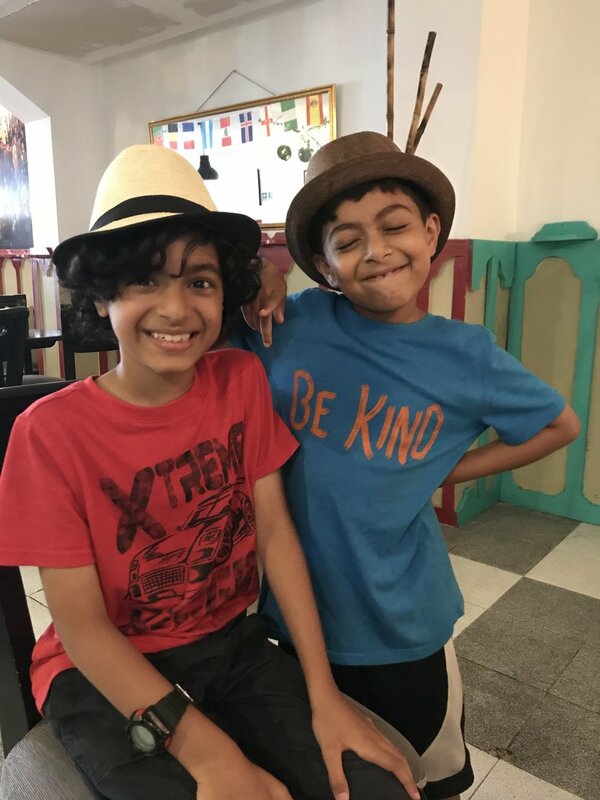 Teach your children the difference between person first language (e.g., “a person with autism”) vs. identity first language (“an autistic person”). While person first language may be a good, general rule, many individuals from that respective community might prefer identity first language. When in doubt, simply ask and honor how they wish to be addressed. This conversation can become more nuanced, as children grow older. Make an effort to take your children to activities and events in different parts of town, with more economic, racial, and ethnic diversity. Did you know? 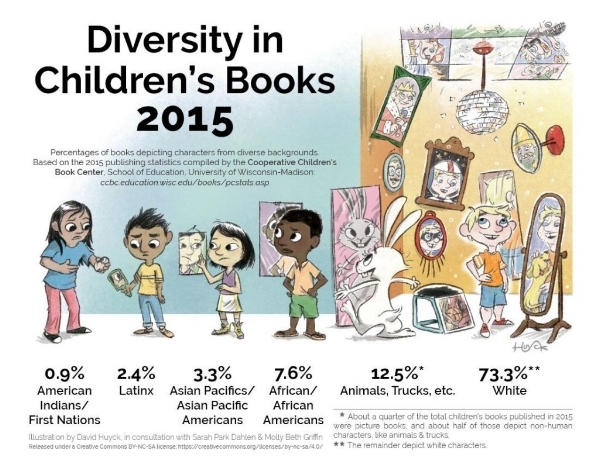 According to the University of Wisconsin-Madison’s Cooperative Children's Book Center (CCBC), as of 2016, only 22% of children’s books featured people of color as protagonists. Many of our favorite books and films from childhood are chock-full of problematic, offensive content (think The Travels of Babar, Little House on the Prairie, anything written by Dr. Seuss, Aladdin, Pocahontas, [unfortunately, the list goes on and on…]). As a result, we must be ever so conscious about the literature and media we consume, especially when our children are present. Be prepared to directly address stereotypic content with your children when you encounter it. With regard to the arts, the music and art curricula to which we expose our children almost exclusively centers on artists and composers who are white/of European descent. Accordingly, be intentional about exposing your children (regardless of their racial backgrounds) to the intellectual and cultural achievements of people of color, as well as their resistance struggles. Research Black, Brown, and Indigenous inventors, scientists, writers, artists, musicians, thinkers, and activists/organizers (beyond Martin Luther King Jr. and Rosa Parks) and share those discoveries with your children. Otherwise, children might get ideas about which cultures are “sophisticated,” while others are merely watered down to hurtful, often harmful stereotypes. Children notice that white people have positions of power, while people of color often do not. What message does this send to children? Perhaps they will start to interpret this to mean that the privileged, dominant groups in society became that way because they are somehow inherently superior to marginalized members of society. Addressing the subject of privilege is a must (e.g.-white skin gives you privilege. So does being: upper/middle class, able-bodied, straight, a US citizen, etc.) The idea of admitting that we have privilege/power in society often elicits much defensiveness, but this discussion should be a part of the nuanced conversation about structural inequalities that exist in the society in which we live. Also, privilege does not necessarily have to be a negative aspect of your identity for which you should feel guilty. When used to amplify the voices, experiences, and causes of people from oppressed groups, privilege can serve as positive tool for social change. 1. When discussing racism (and other –isms) with young children, you can use the words “fair” and “unfair” to describe inequitable systems/policies. This is a concept they can understand. 2. With older children, we can increase the complexity and discuss systems of institutional racism, the generational effects they have on people, and brainstorm collectively about how we might be able to create a more equitable society. 3. Refrain from approaching the issue of race as if it’s a relic of the past. As much as we’d like to believe we live in a post-racial society, we don’t. 4. Let’s guide our children in the process of learning to advocate for others and participate in civic engagement. We can help them acquire the skills to be upstanders (someone who recognizes when something happens that is unfair or unjust and acts accordingly). What is the first step you will take to ensure you are cultivating an anti-bias, race-conscious home? Bigler, Rebecca S., et al. “Race and the Workforce: Occupational Status, Aspirations, and Stereotyping among African American Children. .” Developmental Psychology, vol. 39, May 2003, pp. 572–580. Shafer, Leah. “Facing Race.” Harvard Graduate School of Education, 8 Aug. 2016, www.gse.harvard.edu/news/uk/16/08/facing-race. Tajfel, Henri. “Social Psychology of Intergroup Relations.” Annual Review of Psychology, vol. 33, 1983, pp. 1–39. Van Ausdale, Debra. “Using Racial and Ethnic Concepts: The Critical Case of Very Young Children.” American Sociological Review, vol. 61, no. 5, Oct. 1996, pp. 779–793., www.jstor.org/stable/2096453.